I decided that since I love everything food and food related, what better way to bring in the Holiday shopping season than compiling a list of the top 30 items (in no particular order) for that special food-lover, or “foodie”, in your life! You know, the one who loves to cook and bake, and lives for all the latest and greatest cooking gadgets and accessories. 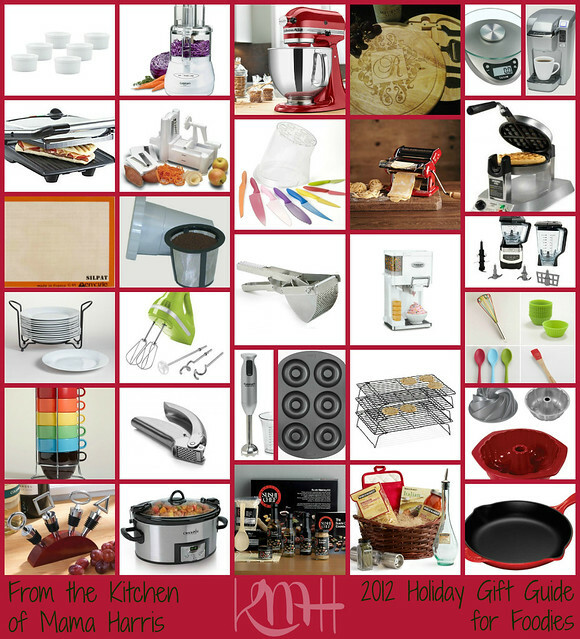 This list is for them, including some of the hottest kitchen tools for this Holiday season! Whether they are a gourmet chef, a young adult just learning their way around the kitchen, the hostess with the mostest, or even your Mom, Aunt, or Grandma – there’s something for everyone here! Now, I’ll admit, most of the things on this list are things I love, or want (covet would be more accurate! ), but I think any home chef can appreciate a lot of the things on this list. There’s a lot more I could have added, and when in doubt cash or gift cards are great too. But there’s nothing like a gift that was handpicked by someone you love. I have a wide variety of prices here as well, from a small fortune to just a few bucks, there’s something for every budget. From investment gadgets to stocking stuffers, I hope you find this list useful. For most items I’ve linked to the actual manufacturer, but a simple search online can find you many great deals and prices on these items. As you can see, I have a penchant for colorful, fun items as well as good quality stainless steel. Ramekins are perfect for making little souffles, and even for separating ingredients and using during the cooking process. You can chop up your veggies and seperate them in each dish, or use them as little servers. 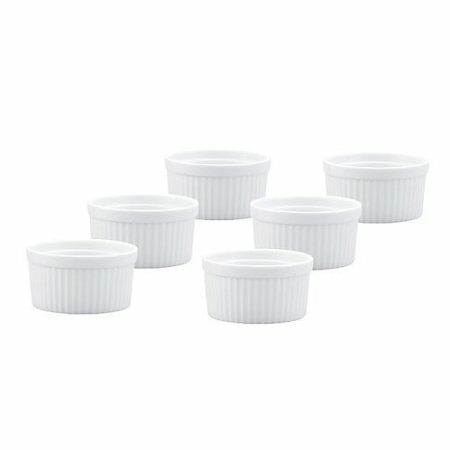 Even if the foodie in your life has a few ramekins, any home cook would always love a few more, and with a set of 6 at this price, it’s worth it! Everybody who even remotely spends a significant amount of time in the kitchen know that cutting, chopping, slicing, dicing and mincing takes up a significant amount of time in the kitchen. I know for me, it takes far more time than the cooking process itself. 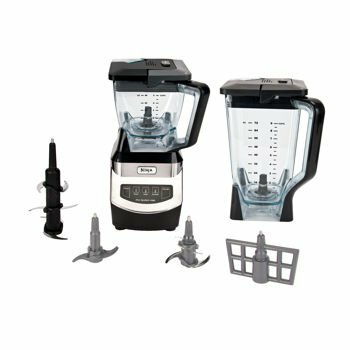 A food processer would make this part of food preparation a breeze, and with the ability to chop up to 7 cups worth of food, it’s a huge timesaver! 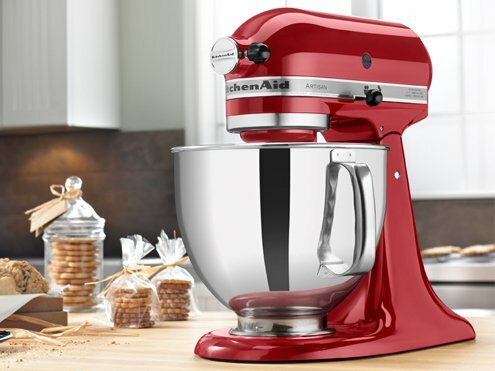 The KitchenAid Stand Mixer is like the holy grail to any home chef. I literally look at it and it makes my life easier! 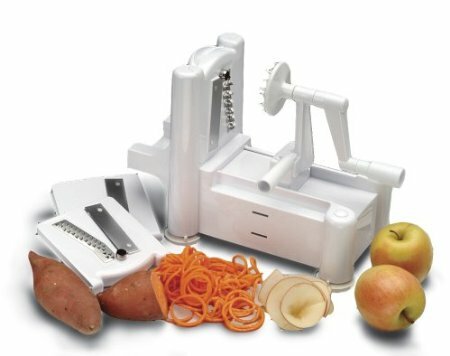 This machine can do it all, there’s an attachment for practically anything, and with all the components made of metal and no plastic, it’s guaranteed to last through many seasons of Holiday cooking! And with 20+ colors, it’s bound to suit your décor! 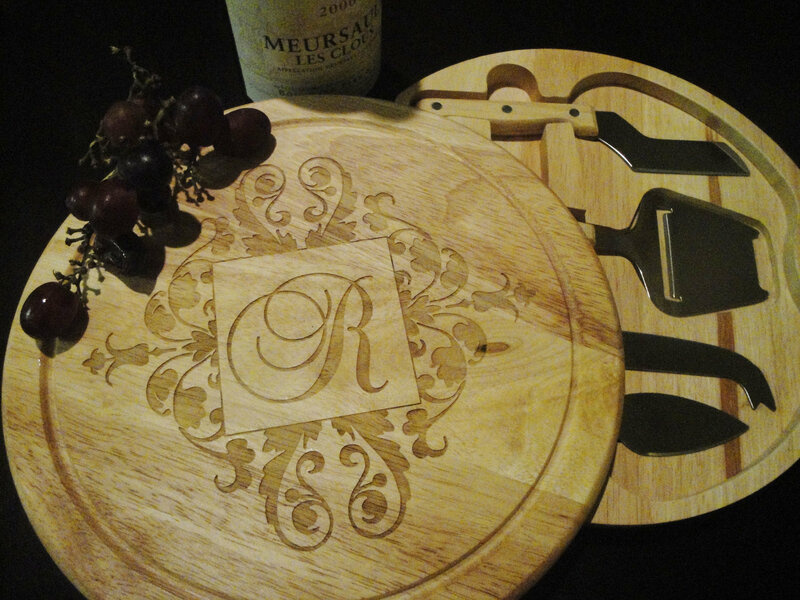 This is a great personalized gift for anyone, foodie or not! It’s so classy with the elegant monogram, and it comes with the various cheese cutters. This would be beautiful to leave out as décor, and it’s fully functional as well. 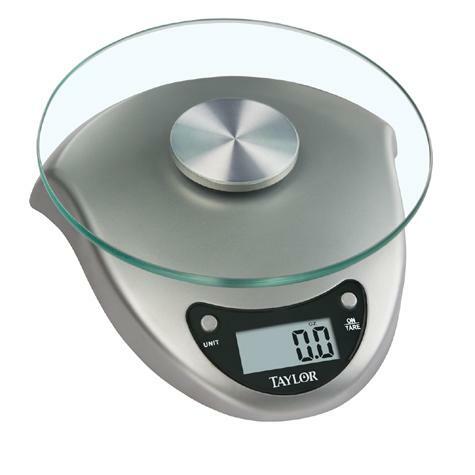 Every kitchen should have a scale. Some cooks don’t measure, they weigh. This is also great for health buffs that count calories and need to know how many grams are in a particular food item. This is a great, inexpensive piece to add to any loved ones kitchen. This is one of the hottest gifts around this holiday season. Personally, I can’t live without my daily cup of coffee, and how easy this is! You just pop in the little K-Cup and your mug and you’re good to go! I think many generations can appreciate this! 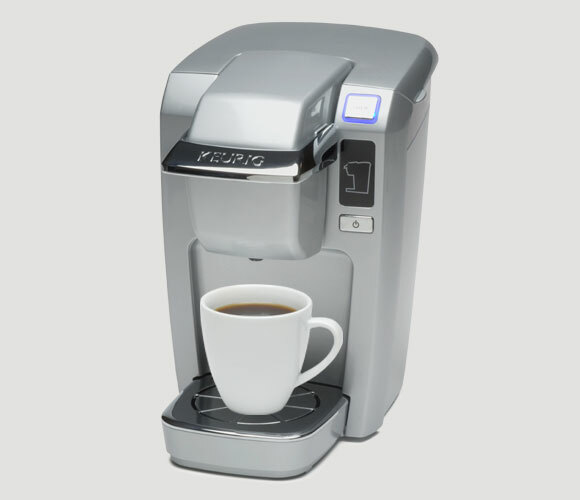 It’s a little more compact than other Keurig models, and it comes in 5 colors to suit anyone’s tastes. A Panini maker can take an ordinary sandwich to extraordinary in just a few minutes. A must have in every kitchen; just think of all the possibilities! This vegetable slicer can cut anything into a spiral. It’s not just for vegetables! You can use it on oranges for zest, or chocolate for garnish, you can use spaghetti squash with this and have wonderfully curly squash noodles, or carrots and any other vegetable. The possibilities are endless! Ever since I saw Hungry Girl’s Lisa Lillien answer a viewer’s question about what knives she uses on her show, I’ve wanted these. They are so fun and cute, and amazing quality for the price. I also love that the block is clear and shows off the beautiful color of the knives. Nothing compares to the taste of real, “cooked from scratch” pasta. This is an old fashioned pasta machine, made in Italy. 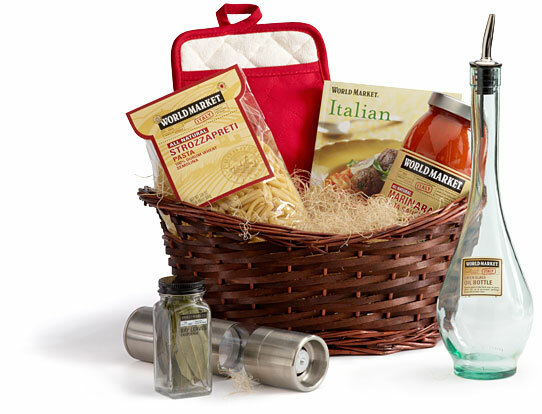 It’s wonderfully made, and what an amazing price for authentic Italian pasta! It comes in 2 colors, so you can pick according to your chef’s personality. 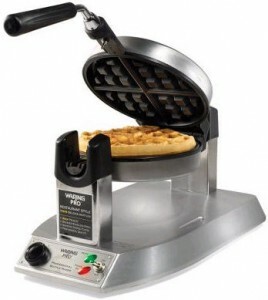 With deep pockets and the rotary feature, this waffle maker will surely become a favorite in the kitchen. With this, your loved one will be making thick, fluffy waffles like the pros! With a control button that lets you set the crispness and a sound feature to let you know when the waffle is done, this is a great buy! 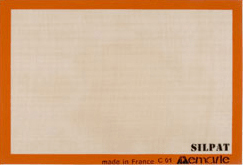 Replace all your loved ones parchment paper and aluminum foil, and save their cookie sheets by gifting them with a silpat baking mat. These beauties are made of silicone and fiberglass, and completely safe. Nothing will stick to them, a chef’s dream come true! They come in a variety of sizes as well. Some coffee enthusiasts have been resistant to the Keurig system because they love their own brand of flavored coffee. This is an excellent marriage of both worlds. 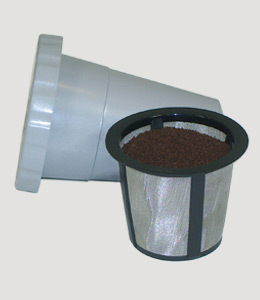 The reusable K-Cup filter allows the user to use whatever brand coffee they love, and best of all it’s eco-friendly! 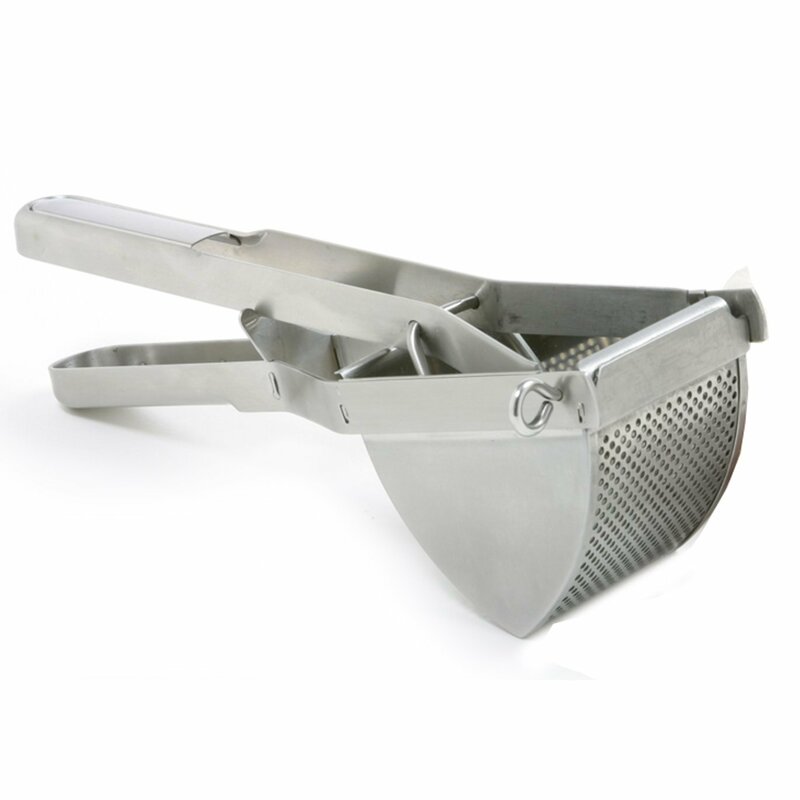 This is a commercial quality potato ricer, and holds almost 3 cups of potatoes. For a job that big, you definitely want something sturdy that’s going to press the potato easily and is durable enough to do the job repeatedly for a long time. It’s a great, quality item for a reasonable price that’s sure to for years! 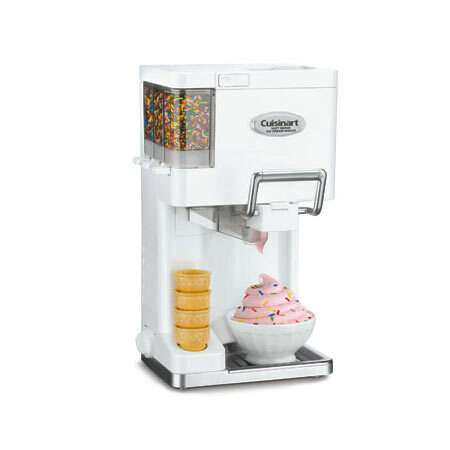 This ice cream maker is a great gift! It serves soft serve ice cream, and has compartments for sprinkles, chips, and any other little mix-in’s. There’s a cone holder and it even comes with a recipe book. Last, but not least, a great 3 year warranty. Let the fun begin! 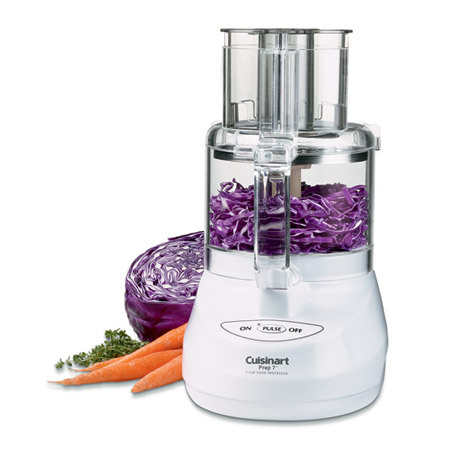 The Ninja blenders are very popular at the moment, and with a large pitcher and 6 blade assembly, it’s no wonder why. With various attachments, this should be able to create many masterpieces. And the smaller bowl can be used as a food processer. I love multi-use gadgets! 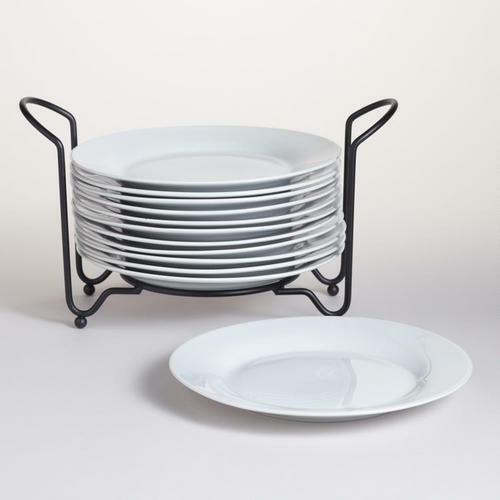 These plates with racks are a wonderful addition to any home that loves to entertain. I know they would have been perfect last week at Thanksgiving, we served everything buffet style! These plates and racks come in two different sizes, and even if your gift recipient has a set, a host can never have too many plates! 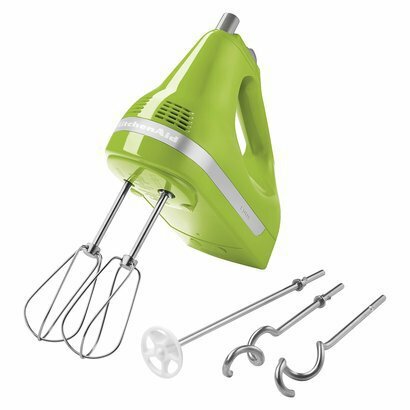 Hand mixers are notorious for being a little too powerful to mix cookie dough or knead bread dough – but not this one! With 5 speeds and a quiet motor, this is a great alternative to the big stand mixer. It comes with 3 different types of beaters, it’s sure to be a welcomed accessory in any kitchen. 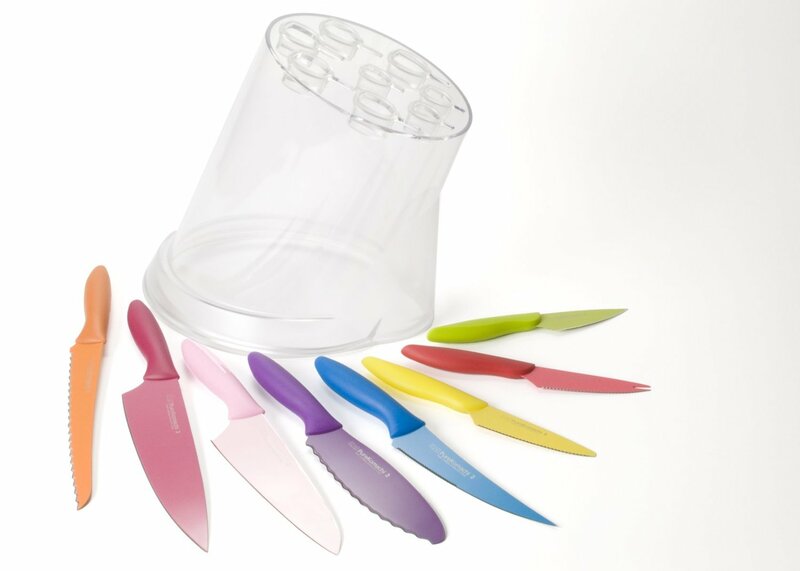 Silicone accessories, like a whisk, cupcake liners, a pastry brush or a spatula are always welcome in any kitchen. 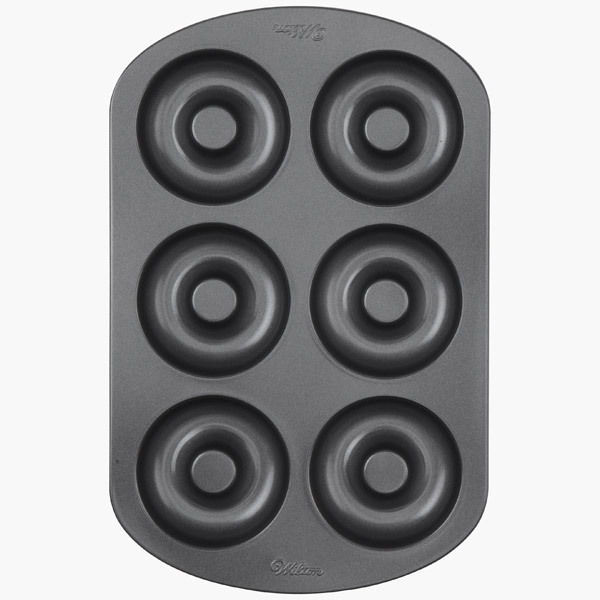 Silicone won’t melt, it’s heat resistant, it’s sturdy, and won’t scratch up your pans or glasses. It’s also pretty inexpensive, so these items would make a great stocking stuffer! 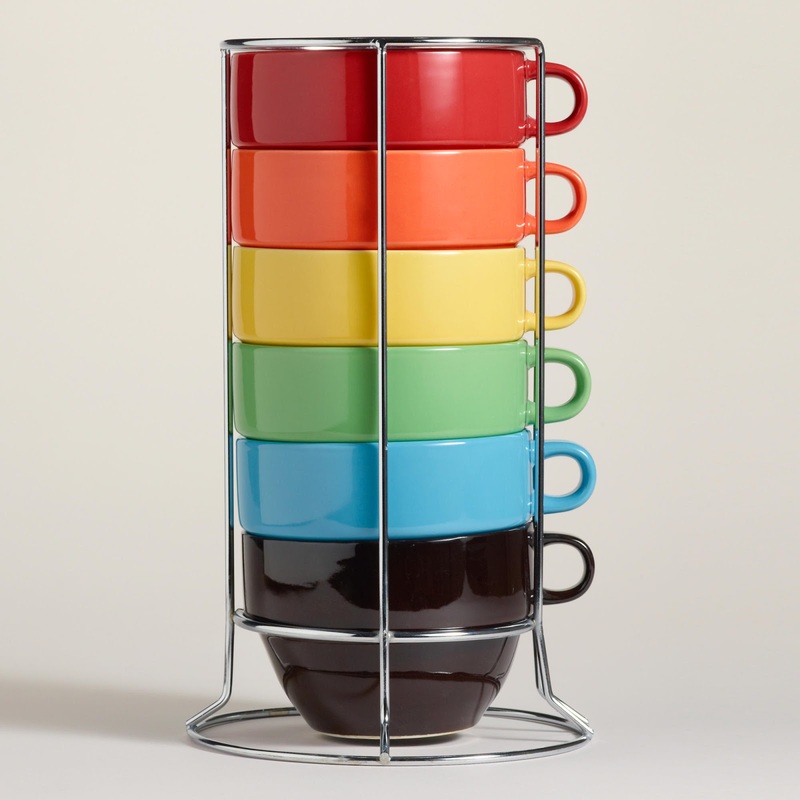 I love these stacking mugs, and they’re nice and big. These would look perfect on the counter next to that nice new Keurig coffee system (see where I’m going with this?). One can never have too many mugs, and when company is over during the holidays or for brunch, it’s nice to have a few mugs that match, and you can just grab one from the stack. 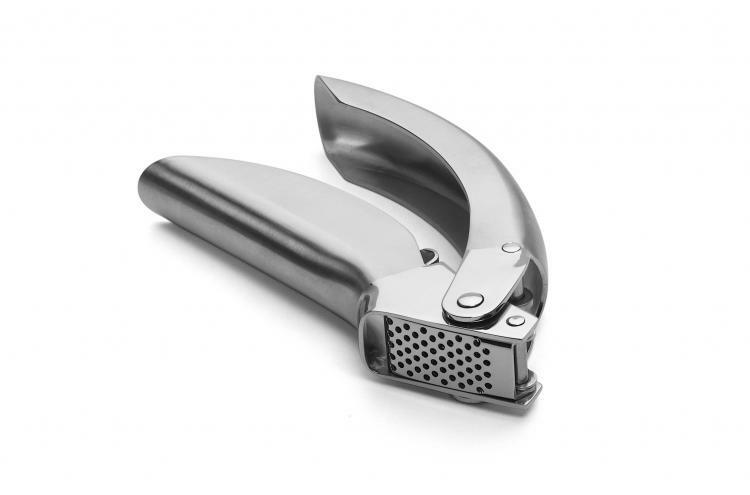 With its stainless steel design and comfort grip, this press is the perfect addition for the busy home chef. You can press garlic and even fresh ginger. This is a solid piece that will be enjoyed for years, another great stocking stuffer. 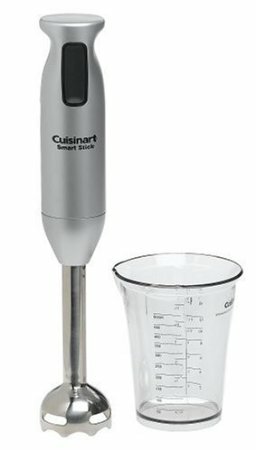 This stick hand blender is perfect for blending soups, juices, sauces, and even batters right there in the pot, pan or bowl. No need to pour it all in a blender, just use the stick! It’s easy, no mess, and comes in a variety of colors. What could be better? Wilton is known for having some pretty great baking products available to the public at a decent price. Now you can make donuts in the comfort of your own home, imagine the possibilities! Pick one up for your loves one, and a second one for yourself! This three tier rack is genius! Space is always an issue in a busy cook’s kitchen, no matter how much space they have. So what better way to go, than up! Even if they already have some cooling racks, it’s just one of those things you can’t have too many of! Every busy kitchen should have at least one bundt pan. There are so many great ones out there; it’s hard to pick just one. They come in so many designs and shapes. There’s nonstick, silicone, and anything else you can think of. 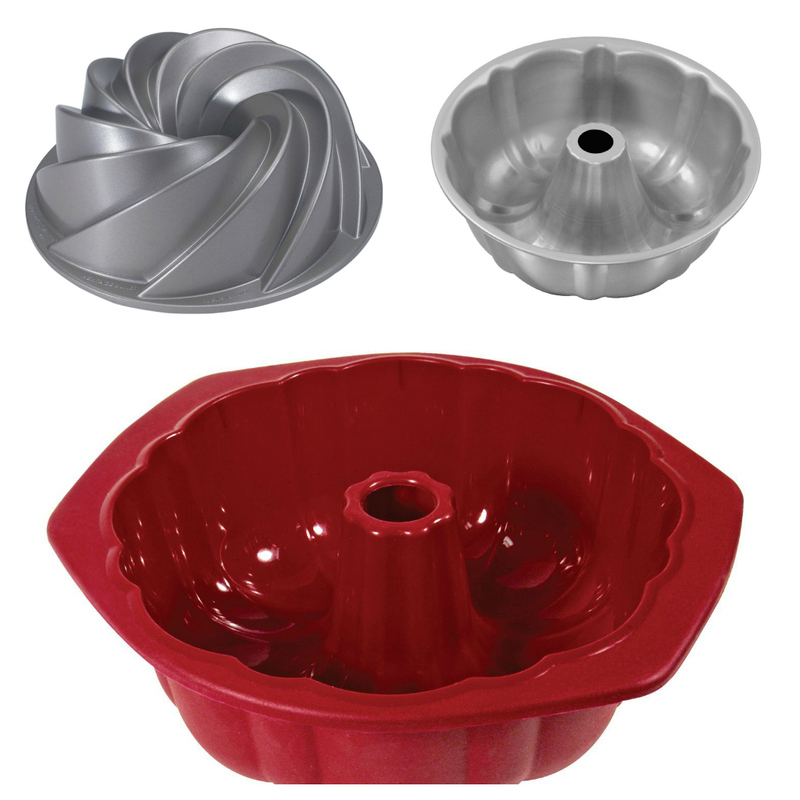 I make so many things from my bundt pan; it’s my must-have accessory. 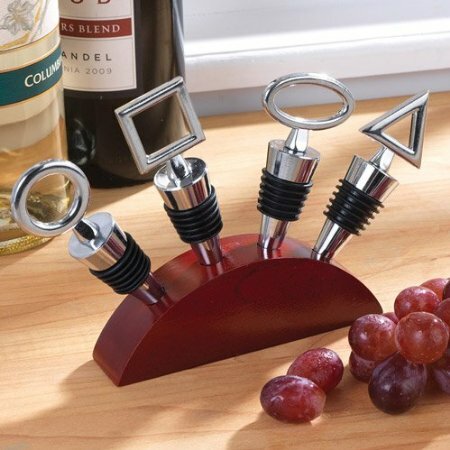 Any great hostess is sure to have a bottle of wine or two around, and these wine stoppers are the perfect accessory. I love the cute base too, to show off these pretty little things. What a perfect gift! 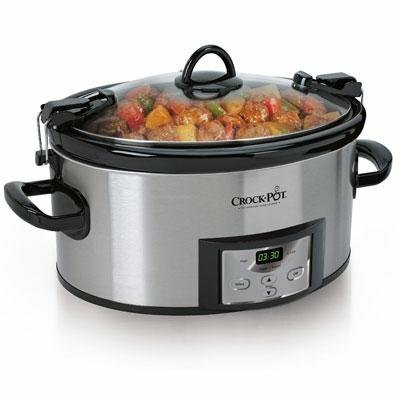 Most home cooks absolutely adore their slow cooker. Some (like myself) could even use a second one. This is a great gift for those that don’t have one yet, need a second, or even need to replace theirs. It has a locking lid so you can take it to a potluck with the food already made, and it’s digital so you can preset the heating times. It’s large enough for a big family or to entertain plenty of guests. 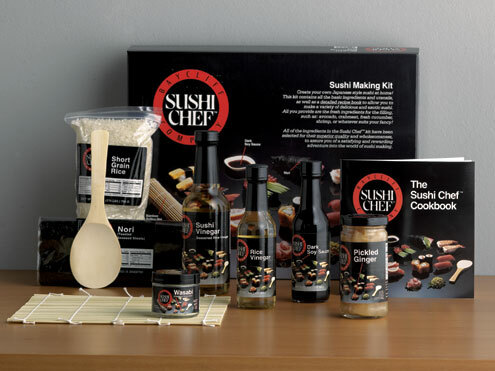 A lot of folks love sushi, and this kit is great for that sushi enthusiast in your life. It has all you need to make up to 125 pieces of sushi, from the wrappers to the seasonings, it’s fully stocked. It also comes with recipes and a how-to manual. What could be better? This is a great gift that you can personalize to make unique. You can add small gadgets, coffee, wine, aprons, miscellaneous food ingredients, cookies, snacks, and trivets, anything your heart desires. I love World Market and could seriously get lost in the aisles for at least a few hours. This is a great customizable gift to get any food lover. Cast iron skillets have long been a kitchen favorite due to the even cooking and heating provided by this material. 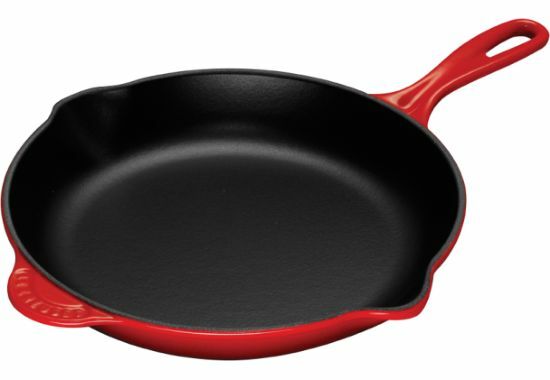 The 10.25” skillet shown here comes in a range of colors to suit the taste of your beloved foodie, and Le Creuset is known for their quality items that are sure to last for years to come! I hope you enjoyed this guide and would love to get your feedback on the items you’d love to gift… or receive! What do you think the hottest “foodie” item is for the season? Is there anything you own or were planning to purchase on this list? Disclosure: This is not a sponsored post. All thoughts are my own. Previous Post: « Think Outside the Blog – Weekly Blog Hop – Week 5! i don’t cook a TON but i do cook and drink coffee lol i love and want EVERYTHING on this list! Gonna share, thank you for posting it! Thank you! I want everything too! I want everything!!! lol I don’t cook much either but I sure try and when I do it has millions of steps in the instructions! I think this is an awesome list! Great list, thank you for sharing! 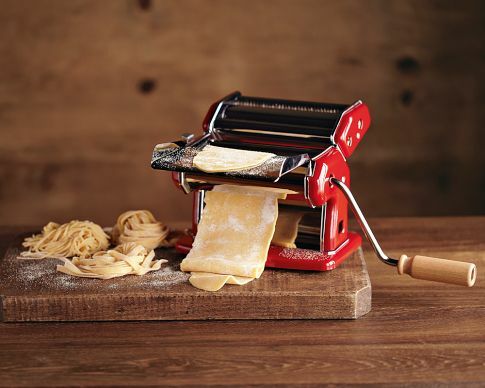 Oh, there’s nothing better than homemade fresh pasta! I want that so bad, and it’s amazing for the price! I love the shopping list you shared, if i had a big enough kitchen I would have every utensil! Hi Gi, I’m glad you found me too! Thanks for coming by! LOL Connie, I love bright colors, my kitchen motif is full of bright colored fun stuff! 🙂 I really, really want the knifes! Awesome holiday gift guide! BUT! You left out a pizza stone! That’s on my wishlist! New follower from the blog hop! Hi Lisette! I think I could make about 3 more lists of 30 items for foodies! lol The pizza stone would have been on one, for sure! This is a fantastic gift guide. I have nominated you for a Liebster Award. You deserve to be recognized. Check out my blog for more information. Thank you so much, and I will check it out! Every single item on this list is something I have on my “want to buy” list for my mom!! Thanks for sharing all the links on where to buy! Hello! Thank you and I’ll be sure to follow the hop! Thanks for sharing these awesome things that we should have in our kitchen and as cooks, I have 9 things on the list, so i think I am doing good! Thanks for this post! You’re doing really good Pamela!! Thanks for coming by!